So far Joshua Carter has created 70 blog entries. This is the 31st episode of “FC Underground, 2014-15,” covering the week of March 2-7, 2015. This is the 31st episode of “FC Underground, 2014-15,” covering the week of March 2-7, 2015. 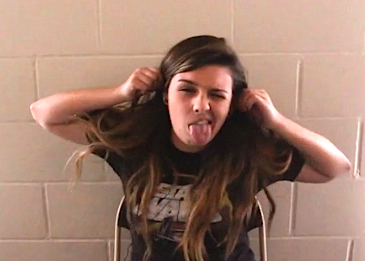 Senior Callista Fries is a third-year host and broadcasts the video news alone normally. FC Underground is a weekly segment hosted by Fries, filmed and produced by junior videographer Tim Nyberg. Softball has a home game starting at 3:30. Baseball has a game at Laton HS, starting at 3:30. Tennis has a match at Caruthers, beginning at 3:30. Golf has a match at Riverside course, starting at 2:30. Softball has another home game, also beginning at 3:30. Baseball has a double header at home, the first game is at 11 a.m. Kids Day is March 3, be sure to buy a paper in support of Valley Children’s Hospital. Wed. March 3 Sister to Sister has an off campus lunch. Western Wednesday will be March 4, if you dress up, you will receive a free root beer float! The annul Night Of The Stars is on March 28, tickets are being sold at lunch and in the office for $55. 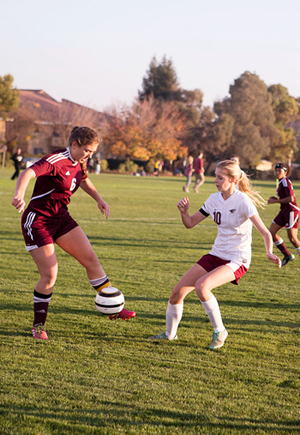 Come support to final game as girls soccer hosts Frazier Mountain for the D-VI championship, Feb. 24. Looks like one of the team’s players has her game face on. The last time the girls soccer team won a Valley Championship was under coach George Freeman in 2001. Yet the 2015 team will face Frazier Mountain of Lebec, CA, (14-2-3 League 6-1-1) for the CIF Central Section Division VI Championship on Eagle Stadium field, Feb. 24 at 7 p.m.
Over the last few years under coach Tony Martinez, the FC girls have compiled an 11-8-2 record but went 4-5-1 in West Sequoia League play. In their last two games, the Eagles defeated Firebaugh, 3-0, Feb. 17, and then surprised Farmersville (15-5-1, 7-1-1) on the road, Feb. 19, to get to the championship game. The Falcons reached the finals after defeating Riverdale, 2-1, Feb. 21, after scoring the winning goal in overtime. Come support to final game as girls soccer hosts Frazier Mountain for the D-VI championship. Tickets for the game will only be available at the gate. No CIF passes will be honored. All spectators need tickets: $7 for adults, $5 for seniors (65+) and $5 for students. Val Rivera has the pitch dry and ready for a championship match. Please consider passing along this information via word of mouth, Twitter, Instagram and Facebook. Let the Eagle community know that the girls are playing for bragging rights user the lights, Feb. 24, at 7 p.m.
For more videos, check out FC Underground 2014-’15, No. 30 (VIDEO). (Scrimmages do not count toward win/loss record. Visit the Sports Section for boys’ soccer features). For a simple overview of scores and upcoming games, check the Winter sport box scores, 2014-2015, for dates, opponents and times for all Eagle sports. Be sure to visit the 2014-15 boys’ soccer schedule, home page, or check out Maxpreps.com. 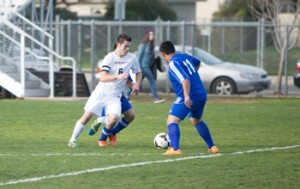 FC is currently 1-8-1 in the West Sequoia League and overall 2-15-1 as of Feb. 19. Senior Taylor Howard kicks the ball to get it out of FC territory. 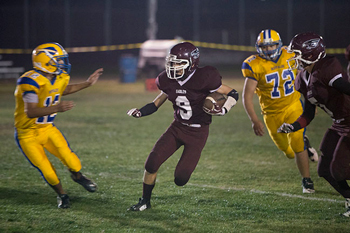 The final game of league had finally arrived and it took place at the Caruthers Blue Raiders. The girls played earlier and lost 5-1, eager to make up for the girls, the boys jogged onto the field ready to take the win. After the Senior Night proceedings had finished, the game began with a senior squad on the field for Caruthers and the first string for FC. In the first five minutes FC took control, startling the Blue Raider into subbing out the seniors and playing their first string. After this dramatic change things took more of an even path, possession changed constantly between these two evenly matched teams. 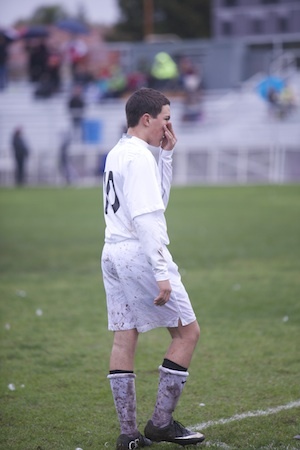 Yet the rivalry between FC and Caruthers was tremendous, leading to numerous fouls on both sides of the pitch. Both teams attained several chances on goal, but all were just feet from achieving their purpose. Within the last ten minutes of the first half the Blue Raiders scored. Despite this point, the game was just as capable of turning to a win for the Eagles. The half ended with both teams equally matched, yet the BlueRaiders were able to cash in one of their chances. The teams came back onto the pitch, an interesting game was sure to come for the spectators, the Blue Raiders, previously believed that victory would be achieved with there subs, but they were finding it tough to take control of the ball with their first string. The second half began and the Eagles started out eager for a goal, halfway through the half FC scored, tying it up bringing the game back to an even playing field. The Eagles defense remained strong till the end of regulation tie, giving a brief respite to the exhausted players. The first ten minutes of overtime began, here, we would find out which teams were the fittest and able to push through their exhaustion. Five minutes in, the Blue Raiders scored, causing a little panic within the FC bench, but the Eagles often score within the second half of the two half system, with luck a point would come their way. Second overtime came with the Blue Raiders ahead 2-1, and the Eagles given ten minutes to grab a tie or win. However their hopes were to be crushed, despite numerous attempts the Eagles remained scoreless, giving the win to Caruthers, and their playoff situation in a precarious place. Junior Andrew Moore believed the team played well ad was happy with the end, despite the loss. The Eagles will next play the Orange Cove Titans, a playoff game. Captain Taylor Howard attempts to pass the last Parlier defender for a chance to score. After a tough season the FC Eagles boys soccer team were able to sneak into a long awaited playoffs game. The Eagles drew cards against the Orange Cove Titans, who they had previously faced in the first game of the year. Eager to take the win, the game began and their hopes of making it to the championship game started. The first half began, slow, the midfielders finding it difficult to maintain the ball for a length of time. However this soon changed within the next five to ten minutes where both teams began to amass several chances on goal. However due to the eagles type of formation on the field, FC remianed on defense for most of the game. And as was assumed the Titans scored. early in the game. The Eagles kept their heads up however and tried their best to grab a point, however luck semed to not be with them today. All shots were blocked or just barely off target. This ended the first half and pushed them farther away from making it to the championship game. The second half began and the Eagles still had multiple chances on goal yet all were picked up by the Titans goalie. Once again the Titans scored increasing their lead 2-0. Five minutes left in the game, the Eagles brought the ball down the field. They amassed 5 shots on goal, a penalty gick just outside the box, several corners yet all were just inches from a gaol, and the chance of tyin ghte game back up. The game fianlly ended with the final score 2-0, and the Titans would be traveling on in the playoffs. The final game was an ironic end to the Eagles season as they played them for their first game, and played them in their last game. Head coach Matt Markarian was satisfied with the end result of the season but was sad with how the game went. Senior Adam Khouzam was sad with the loss but was happy with where the team ended up by the end of season. For more sports the article Boys basketball sport shorts: Caruthers. Follow The Feather via Twitter @thefeather, Instagram @thefeatheronline and Facebook @thefeatheronline. This writer can be reached via Twitter: @J0sh_Carter. Sophomore Jared Markarian takes a break before a corner kick. As the FC boys soccer team warmed up on the field, the Parlier Panthers Senior Night ceremony began. Ten minutes later both teams were in place and fans were eager for the start of the game. Both teams came out ready for a fight, both fighting for possesion of the ball. While the Eagles playing style is to steal the ball and attack, the Panthers focus on retaining the ball and slowly moving up the field though passing. This mean that the Eagles tended to be on defense for the majority of the game. Both teams had an equal amount of chances on goal, yet the first half remained 0-0. At the start of the second, again, both teams came out ready for a fight, wanting the win. Yet the Eagles defense was first to make their mistake, and the Panthers scored two points within ten minutes. But the the Eagles retaliated with two of their own, bringing the score one again to a tie. The showdown continued but once again the defense let a final shot slip by, giving the Panthers the lead within the final few minutes of the game. The Eagles lost with a finals score of 3-2. Junior and midfielder Davis Borrego thought he and the team played to the best of there ability and just got unlucky. 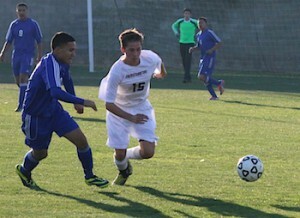 For more sports read the Feb. 12 article, Boys soccer sport short: Minarets. The Eagles soccer team traveled to the game knowing a win would be tough to grab, but they came out for a fight. The night was young, the lights were bright and the teams were on the field awaiting for the referees whistle. The first half was a whirl wind of plays, the Eagles able to maintain the ball for a period of time along with the Cowboys. Considering Riverdale was one of the best in league FC had came out on fire and capable of giving the Cowboys a fight for there money. The first half ended with the score tied 1-1. Within the first few minutes of the second half the Cowboys pulled a point out of the hat. Throughout the game FC started to accumulate several injuries but they came out slow and unwilling to fight for all of there work which they put into the game in the first half. With 20 minutes left in the game the Cowboys had increased the score to 5-1. Defender and stopper Josh Carter was in a collision with marking back Amrit Paul Gill. Fearing a concussion the players were not taken off the field, both players had large amounts of blood flowing from their injuries. Ten minutes later play began and the Cowboys scored a final time, ending the game 6-1. In the aftermath both players received relatively minor and short lasting injuries. The Feather sends their prayers to the players and hopes that they get better. Junior Andrew Moore was shocked to see his teammates collide on the field, but was thankful there were no serious injuries. The Eagles will next play the Caruthers Blue Raiders on Feb. 10. Be sure to visit the 2014-15 boys’ soccer schedule, home page, or check out Mapreps.com. FC is currently 0-1 in the West Sequoia League and overall 3-1-7 as of Feb. 3. Senior boys pose with Head coach Matt Markarian after the senior night game against the Minaret Mustangs. The last home game finally arrived with the usual and ever remembered Senior Night. This game commemorates the seniors on the team with a small ceremony and the wonderfully labeled twinkies. The team wore the home jerseys worn by the first FC team whose first colors were gold and maroon 15 years ago. After the ceremonies had finished, the game began with a crowd eager to see an enjoyable game. Right off the bat the Eagles created multiple chances within the first five minutes. Finally senior and striker Taylor Howard scored, this celebration was short lived with a mistake by the defense and the Mustangs tying it up 1-1. For the rest of the first half, both teams created chances for goals but were shut down by the defense and goalies. For first half the Eagles seemed to bot play to there full potential, but at the start of the second this thought perished with a goal by Junior Davis Borrego. Within the first ten minutes of play, FC had increased their lead by three and relaxed 4-1. As the game continued, the Mustangs settled into there fate leaving the win for the Eagles and giving the FC boys there first win in over 5 years. Head coach Matt Markarian was happy with how the team played and was pleased with the effort Taylor Howard gave. Senior Adam Khouzam was grateful for the win and the fact that they officially won a game in league. The Eagles will be playing Caruthers High School, Feb. 13. 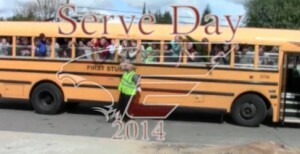 Fresno Christian’s second annual Serve Day is coming up. This year it will be Feb. 19. Staff and students will be going to The Poverello House, Community Food Bank, Kepler Neighborhood School, Ted C Wills Community Center and Neighborhood Thrift Store. After chapel most of the student body will break up into groups and travel by bus to southwest Fresno to serve at these locations. Students are encouraged to wear clothing that they can get dirty in or get paint on. This is not an event to look their best. Make-up is not required. Activities will include painting and graffiti clean-up, reading and playing with youth, serving meals, cleaning up store and boxing materials for resale and working in wear houses. Students will leave around or just before 10 a.m. and return to campus no later than 3 p.m. Only students who cannot participate are required to bring a “reverse permission slip.” Parents should sign this if their student will not participate in Serve Day 2015 and need to remain on campus. Please check back with this paper to find out more about FC Serve Day 2015 and please use the #FCServes2015 in Instagram and Twitter posts. For more Feather videos, check out Take the kindness challenge (Video) or visit The Feather’s Vimeo page. Be sure to visit the 2014-15 boys’ soccer schedule, home page, or check out Mapreps.com. FC is currently 0-1 in the West Sequoia League and overall 3-1-7 as of Jan. 13. Junior and forward leaps forward in an attempt to take a shot on goal. The Eagles began league facing off the Fowler Redcats and have currently reached the halfway point in their array of games. Teams will now play the same teams once again, now knowing where they stand in league teams hope to prove themselves to make it to the playoffs. FC played the Redcats once again yet in Fowlers stadium, in the previous game the Eagles lost 1-2 in a close game. Yet this new game turned out a little different; the FC boys soccer team started out flat, causing Fowler to gain the upper hand. Within the first two minutes of the game the Redcats scored with senior and star player No. 5, Hugo Mendez. This first goal was a sign of what was to come in the first half, the Eagles remained scoreless while the Redcats staked the scoreboard ending the first half 5-0. In the second half the Eagles came out with their defense strong and ready for another fight. While the Eagles defense had worked out the kinks, the offense still remained unable to score. By the end of the game FC trailed 7-1. Jordan Castro was disappointed with how the team played but knew that it was just one of those days. Eagle basketball fans are encouraged to attend the Big Game verses Fowler on Jan. 30 as the Eagles host the Redcats at 7 p.m. The Caruthers Blue Raiders (2-1 in WSL) and the FC Eagles basketball team(2-1 in WSL) took to the floor for the much anticipated rivalry game between the two schools, Jan. 27, 2015. The past two years, the Blue Raiders have been winless when traveling to Fresno, and they were looking to break that streak with a win. Fans are encouraged to attend the Big Game verses Fowler on Jan. 30 as the Eagles host the Redcats at 7 p.m. Additionally, please put the varsity boys’ Senior Night on your calendar as the Eagles will honor their seniors and host Minarets, Feb. 3, at 7:30 p.m.
Captain Taylor Howard attempts to dribble past a Fowler defender in the second game of the season. played the Fowler Redcats at home on the North field. With fog overhead and the sun inching its way out, the game began, beginning the rivalry once again. Both teams were slow to set themselves into the game yet within the first 10 minutes both teams were equally aggressive and matched. Chances on both sides were prevalent yet the Redcats were able to cash, leading 1-0. The Eagles were persistent though and with a long pass by sweeper Adam Khouzam, striker Joshua Carter scored off of a sprint, slotting the ball to the corner net..
At the beginning of the second half the Eagles came out asleep, while the Redcats started out strong and confident. Yet the Eagles managed to keep Fowler at bay, keeping the game tied 1-1. Halfway through the second half, the Redcats scored through the massive amount of players in the box, scoring off of accidental blocks and deflections, heading the ball in just out of goalie, Bailey Brogans reach. With fifteen minutes left in the half, forwards and mid’s attempted to tie it back up. Yet the goal was just out of reach and the Redcats won 2-1. Head coach Matt Markarian was pleased with how the team played yet believes thatthe team lost because the team losing their composure in front of the goal. Sophomore and first year soccer player Julian Castro was content with how he played yet knows that he and the defense have things to work on. The Eagles will next play the Minaret Mustangs on Jan. 16 at 5 o’clock. In the hopes of better communication, the athletic department will offer a short sports news brief every three to four weeks that will be published on Thursdays called Sports Center. We hope to publish dates, times and locations of upcoming contests as well as highlight crucial events that our parents, supporters and students might wish to attend. Welcome back from Christmas break! Please take the time to add the following soccer and basketball games to your January calendar. High school soccer starts West Sequoia League play this week with home games vs Fowler High School on Jan. 13-14 at 3:30 p.m. High school basketball starts their West Sequoia League play on Friday when high school soccer and basketball travel to O?Neals to take on the Minarets High School Mustangs, Jan. 16. 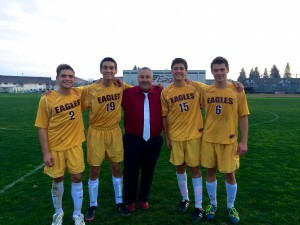 Soccer senior nights will be during the first week of February vs Minarets High School on the FC soccer field. 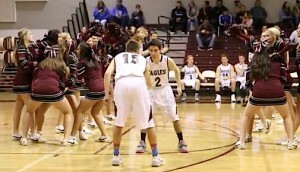 You can find the most up to date HS boys varsity basketball schedule at FresnoChristian.com or by clicking here. You can find the most up to date HS girls basketball schedule at FresnoChristian.com or by clicking here. 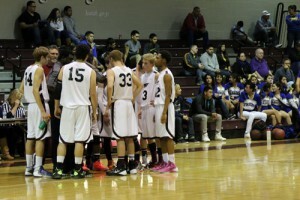 You can find the most up to date HS boys JV basketball schedule at FresnoChristian.com or by clicking here. 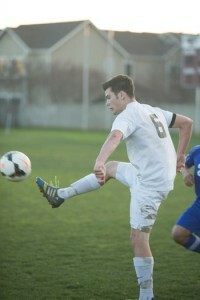 You can find the most up to date HS boys soccer schedule at FresnoChristian.com or by clicking here. You can find the most up to date HS girls soccer schedule at Fresnochristian.com or by clicking here. JV boys 4 p.m., varsity girls 5:30 pm, varsity boys 7 p.m.
girls 3 p.m., boys 5 p.m.
JV boys 4:30 p.m., varsity girls 6 p.m. and varsity boys 8 p.m.
JV boys 4:30 p.m., var girls 6 p.m., var boys 7:30 p.m.
JV boys 4:30 p.m., varsity girls 6 p.m. and varsity boys 7:30 p.m @ FC gym. 1/30: HS boys and girls soccer @ Fowler HS girls 3:45 p.m., boys 5:30 p.m. This writer can be reached via Twitter @J0sh_carter. Captain Courtney Messer defends against the Sierra Chieftain offense. As winter sports get underway, teams start to rally around their strong and trustworthy players. These players provide morale, support and a strong glue between the teammates. One of these players in the girls soccer team is junior Courtney Messer, this co-captain pushes her team with intensity, power. Messer began her career, under the tutelage of her father as a young girl. Despite being the second oldest sister of four, she brought her entire family into the sport. Matthew Messer (Courtney’s father) lured her into the world of soccer because of his childhood memories and the hope of becoming a coach of his daughter’s team. After Messer found the joy of playing on a soccer team, the rest of her sisters joined in with the fun, either gradually or with an instant love of the sport. Along with playing for the school soccer team, Courtney plays on an Alliance team. By doing this she has improved her soccer skills beyond what she thought was possible. Olivia Messer , ’18, has enjoyed playing with her sister while being apart from the school soccer team and hopes that the team can achieve great things. Senior and co-captain Gabriela Siqueiros is extremely thankful for the power and the skill which Courtney plays with as a mid-fielder and how she pushes the team to play their best. Alumna and jr. high yearbook teacher Mikayla Messer, ’14, has loved watching her sister play yet finds it to be a struggle to not coach her from the stands. As season approaches for the Eagles, Messer is hopeful for a strong finish and maybe a first place ending in league. For more sports, read the Dec. 12 article, Senior contributes leadership to campus athletics. Also, please be sure to check out the Eagles’ schedule for the upcoming season at Max Preps. FC is currently 7-4 overall and 4-1 in the Central Sierra League as of Nov. 18. Wide Receiver Tyler Breedlove dives for a fifty yard pass by Richard Morrison. Resulting in a touchdown for the Eagles. The Eagles football team began their practices at the end of May, practicing four times a week over summer. They trained hard, waiting and in anticipation for the moment which they would make it to the Central Sierra (8-man) championship game. 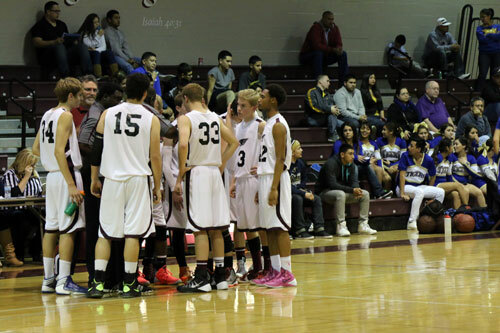 However, the boys came up a point short and lost one of the most exciting games of the year, 57-56, Nov. 14. After the previous year, in which FC was destroyed by Kings Christian, the Eagles wanted to pick themselves off the ground, and they did. The FC football team played the Crusaders once again for the championship game on Friday night, it was televised by ABC 30 at 7 p.m., Nov. 14. At the start of the first quarter the Eagles were on fire. Putting up two touchdowns with ease. The first touchdown was lead with an amazing catch by Tyler Breedlove which was thrown by Senior QB Richard Morrison. After this touchdown FC was given a confidence like none other, taking risks and making plays throughout the first two quarters which was unlike their usual play making. While the Eagles put two touchdowns on the scoreboard, the Crusaders made a touchdown and achieved the extra point. This ended the first quarter 14-8. The crowd was in for either a blowout or an interesting game. Following the same type of play in the first, FC continued with their strong offense. Putting points up onto the scored board with regularity. By the end of the second half the Eagles had the confidence, passion and yearning to win the championship game. At the halfway point the score predicted a blowout, 43-15. The Eagles left the field excited for the half to come and the crowd ecstatically cheering them on. After the 15 minute break, the Eagles came back on to the field, their adrenaline worn off, and almost lazy, assuming that because of their enormous lead, they were assured the win. Yet FC was about to find out they were in a false reality. In the first half of the third quarter, FC played the now excited and confident Crusaders, yet the Eagles seemed to slowly fall apart after each passing minute. Halfway through the quarter, the Crusaders began their so called, “reign of fire.” They scored 21 points in the last 7 minutes of official play. This achievement left the Eagles afraid and weary. By the end of the quarter, the Eagles remained scoreless, ending the quarter 43-36 still ahead. The Crusaders were decreasing the distance, making a chance for themselves to win the championship. The Eagles defense slightly pulled themselves together, managing to pull together 13 points in the first eight minutes of play. Meanwhile the Crusaders pulled ahead of the Eagles. For the first time in the game, the Crusaders were ahead, leading by a touchdown, 57-50. With five minutes left in the game, FC were given the chance to pull themselves back to a tie. They scored a late TD but the extra point failed. Two more drives were available to the Eagles after a supreme job on the defense in stopping the Crusaders. The first drive was wasted and the offense was unable to make more than ten yards of offense. In the drive for the Eagles, Richard threw a long ball for the third time to Breedlove. The pass was overthrown by a few feet, and Breedlove rolled on the ground with broken ribs. The drive for the Eagles had failed and possession was back with the Crusaders. With less than a minute left, Kings Christian wasted time and ended the game 57-56. Head coach Mick Fuller was glad to have been involved with the game, and is thankful that his players got the chance to be apart of such a game. Wide receiver and defensive back Breedlove thought the game was the best one he had ever been apart of and wishes that the Eagles had come out of the second half differently. Breedlove achieved 141 yards receiving and proved to be a valuable player for starting FC drives. These achievements lead to Breedlove being nominated for the Week 11 Offensive Player of the Week. After the voting had finished, Tyler Beedlove lost in second place. Head coach Mick Fuller believed the reason for the great first half was due to some confusion on the Crusaders defense, and the breakdown of the Eagles in the second half were some accidental mistakes. Despite the loss, Chris Kollenkark was thankful for the season and the chance to meet the multi-schoolers. Kollenkark received 117 yds rushing for 4 td’s along with 14 tackles and a fumble recovery, this granted him to be the overall player of the game. Along with Tyler, he was nominated the defensive player for the Week 11 Defensive Player of the Week. Yet like Tyler, he placed second by about a 100 votes. FC had 587 all purpose yards, and 566 total yards. Rick Morrison was the offensive player of the game and made 13/30 passing with 258 yds and 68 yds rushing and whom led a potent offense that scored 56 points. Meanwhile the defense achieved 56 tackles and one conversion. The Defensive player of the game was Junior Sawyer Bachman who had 10 tackles and gave the team inspiration and intensity throughout the whole game. The Eagles finished their official season 4-1 and 7-4 overall. Congrats to the football team for making it all the way to the championship game from The Feather. For more sports, read the Nov. 14 article, Senior utilizes natural talent, athletic finesse. Seniors Nick Morrison, Dillon Owens, Richard Morrison, and Austin Insco pose for a photo before a home game. Richard Morrison, now a senior, came to FC during the middle of his sophomore year. He came due to the sports program and the Christian environment which is strong within the school. Morrison and his twin brother, Nick, came from Acel Fresno Charter High School which like FC is small and intimate. After his arrival, he immediately joined the sports department. Becoming an avid athlete in the tennis program and the soon to be eight man football team. Morrison came to FC from a small school and joined the Eagles tennis team. In the next year he made it to the playoffs, winning the first of several games. With this accomplishment in his pocket, Morrison was ready and confident to become the quarter back for the Eagles football team. Along with the win, Morrison attained the determination to improve his athletic finesse. Along with pushing Morrison to play football, his family wanted his twin Nicholas Morrison to take the challenge, this has resulted in a cooperation between the two like none other. As the years have progressed Morrison has faced several obstacles as the new, and at first inexperienced quarter back for FC. “Over the past two years of football the main problem which I have faced is being confident of myself,” Morrison said. “This seems to be a common side effect which QB’s experience. Everything depends upon you and how you react to the situations, finally though, I have become confident mostly due to all of the hard work at practice which I have put in. Head coach Mick Fuller has seen Morrison grow from a once inexperienced quarter back to becoming a leader and a calm and encouraging presence on the field. 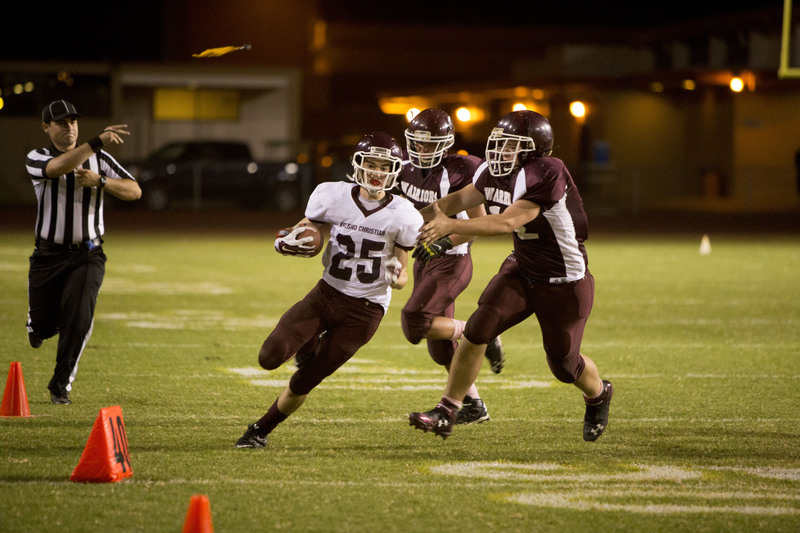 My favorite memory from my football season was in the game versus Riverdale Christian. On the first play of the game I threw the ball to Nick for a 65 yard reception, ending in a touchdown. My whole family was their which made this memory especially nice due to all of their faces which we got to see, shining down on us with their proud faces alit. I hope I will never forget these moments which we have shared together, forgeting them would truly be sad. -Richard Morrison, ’15. With the end of Morrison’s time here with the Eagles football team, he hopes that at the end of the year he will think back to all the fun which he had and all of the experiences. Lastly yet the most important is how God has made him anew during his time with the team. Morrison’s best friend Tyler Breedlove plays alongside him on the field, but off the field, Breedlove is his faithful friend, always looking for a way help him. “Over the past year I have helped Rick in many ways,” Breedlove said. “I have helped to improve him by giving him advice on reading the defense, working his arm out during summer, and just giving him the confidence to believe in his abilities. For more sports, read the Nov. 12 article, Football sport short: Alpaugh. Also, please be sure to check out the Eagles’ schedule for the upcoming season at Max Preps. FC is currently 6-3 overall and 3-1 in the Central Sierra League as of Nov. 7. FC’s next game will be on Nov. 14, as the Eagles play Kings Christian for the league Championship game. Sophomore Julian Castro attempts to sprint down the field evading the Alpaugh Buffalo defense. The Eagles faced the Alpaugh Buffaloes for the last game of the season, this final match-up featured Senior Night. The game was expected to be an easy win, and the coaches were not disappointed. In the first play of the game, the Eagles had taken the ball, thrown a 65 yard pass to Senior Taylor Howard for a run, achieving the first of many touchdowns to come. As the game progressed, FC dominated all parts of play, refusing to give more than five yards of offensive gain at a time to the Buffaloes. The second quarter went similar to the first except while the first ended with two touchdowns the second ended with three, starting halftime 35-0. Throughout the game, the Eagles had a harder time of generating touchdowns due to the Eagles all senior squad. While the seniors are well versed at their particular assignments, the mix up of positions proved to set back the Eagles. In the third quarter, this factor became notably apparent, where the Eagles were only able to gain a field goal, finalizing the quarter 38-0. The Eagles were now comfortably sitting ahead and eager to increase their already enormous lead. After a slow third, the final quarter quickened its pace for the Eagles, adding another 14 points to the already daunting scoreboard, ending the game 52-0. 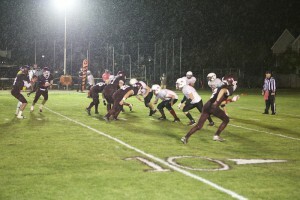 Similar to the previous game, FC experienced a somewhat manageable game. Hopefully despite these games, the Eagles will be capable of challenging a more experienced opponent and not fall prey to the jock mentality. Senior Dillon Owens enjoyed Senior Night and for the chance to play and learn a new position as the Eagles running back for the game. Senior and defensive end Austin Insco was thankful for Senior Night and the chance to appreciate all of what the seniors do for the team. Head coach Mick Fuller was unavailable for comment. The Eagles will next play the Kings Christian Crusaders for the championship game in Lemoore, Nov. 14. Also, please be sure to check out the Eagles’ schedule for the upcoming season at Max Preps. FC is currently 6-3 overall and 3-1 in the Central Sierra League as of Oct. 31. FC’s next game will be on Nov. 7, as the Eagles play Alpaugh High. After a week of preparation for homecoming night, the game came with clouds blowing in, wind howling in the players ears, and the teams lifting their helmets up at the end of the national anthem. Off to the side of the field, floats ranged the street, swaying in the rhythm of the wind, all hoping for once that rain would not come to the San Joaquin valley. The FC Eagles faced the Northwest Christian Guardians whom earlier in the year had lost to the Riverdale Christian Crusaders with a score of 22-60. The Eagles on the other hand beat the Crusaders 70-0, with this in mind the football coaches were ready to place the third and fourth string players in earl in the game to not humiliate their opponents. The first quarter lasted for forty five minutes due to injuries on the field. The two players which were injured were apart of the Northwest Christian squad. If one more player was hurt from the Guardians, forfeit would be their only option. The final score of the first quarter was 23-0, leading to a hopeful and easy win. While FC scored 23 points in the second, both teams struggled to pick the pace up and the Guardians remained scoreless. Both teams seemed laid back, not playing to the full use of the clock. With this in mind, the Eagles picked up their speed and ended the second with 19 more points. This ended the half 42-0, meanwhile the feared rain had begun in the second quarter, leaving the unprepared fans soaked and ready for the main event of the week; the naming of the homecoming court. Check out the article Homecoming Recap by Editor in Chief’s Sara Peterson and Chloe Mueller which goes into detail of all things homecoming court and floats. Personally it was fun to play in the rain. The defense played really well, yet their are always things to work on for future games. Overall everyone fulfilled their assignments and played to the best of their ability. -Christopher Kollenkark, ’16. After the half, FC showed their true talent, unlike the first half, the Eagles used the clock to their full advantage. They played with an intensity and readiness despite the massive amounts of rain and wind pounding them from a 45 degree angle. At the end of the third and fourth quarter the FC football team had annihilated their opponent. Ending the match 77-0, the Eagles had matched the crowds and coaches expectations of an easy and well played game. Despite the win, Head coach Mick Fuller knew the team was error free in spite of the win, and hopes to fix the small errors which have pervaded the games ever since the start of season. Junior Chris Kollenkark won the defensive award for the game with 12 tackles and a blocked punt. He believed the defense played well and followed all of the duties assigned to them. Senior and quarterback Rick Morrison won the offensive award for the game and was quote “ready and confident, making good decisions with the ball. His passes were on target and he ran with good vision,” head coach Mick Fuller said. Unlike Kollenkark, Morrison disliked the rain but was happy with how the team played. The Eagles had a sum of 248 total yards and 372 all purpose yards. They left the game with one sack, 166 passing yards and 41 tackles. The overall player of the game was Taylor Howard who played all facets of the game, kicking, receiving, and defense. Through these different responsibilities, he pushed the team to victory by playing to the best of his ability and acting as a role model to the rest of the team. The FC football team will next play the Alpaugh Buffaloes at home on Nov. 7. Come out and support your Eagles for the last home football game of season play. Will they make it to the playoffs? Be here this Friday to find out. Also, please be sure to check out the Eagles’ schedule for the upcoming season at Max Preps. FC is currently 5-3 overall and 2-1 in the Central Sierra League as of Oct. 25. FC’s next game will be on Oct. 31, as the Eagles play Northwest Christian. The FC football team faced the Riverdale Christian Ambassadors in Riverdale, Oct. 25. Similar to the previous game, the Eagles dominated from the start. By the end of the game, the final score was 70-0, destroying the Ambassadors. On Saturday at one o’clock these two teams met once again, last year the final score was 56-6, respectively, yet the Eagles surpassed last years score with a flourish. In the first quarter, FC took off by the second play of the Eagles offense, already achieving a touchdown. By the end of the first quarter 36 points had made their way up onto the Eagles scoreboard, adding to the first set of 36 points. The Eagles increased the humiliation with 20 points, ending the second half with an easy 56 points. After half, events quickened yet the pace of play diminished. Throughout the third quarter, both teams remained scoreless and struggled to achieve an offensive foothold. By the end of the fourth quarter the Eagles had kept their head high and still attained their positive thinking. On the other hand the Ambassadors had been stiff armed, having been the receivers of such a blowout and been unable to make much more than five yards while on offense. Despite the easy win, Fuller was biased because of the fact that key players of Riverdale Christian were unable to play and knew that due to the speed of his offense helped to make the win. Along with this win, Fuller hopes to improve certain aspects of the teams blocking and technique, but overall he was pleased of their performance. Senior Dillon Owens was happy with how he played and content with the teams effort which they contributed. Wide Receiver Tyler Breedlove overall believed the team played exceptionally well and is hopeful for the homecoming game. The Eagles next game will be on homecoming against the Northwest Christian Crusaders, come out and support, Oct. 31. Follow <i>The Feather</i> via Twitter <a href=”https://twitter.com/thefeather” target=”_blank”>@thefeather</a>, Instagram <a href=”https://instagram.com/thefeatheronline” target=”_blank”>@thefeatheronline</a> and Facebook <a href=”https://www.facebook.com/thefeatheronline” target=”_blank”>@thefeatheronline</a>. This writer can be reached via Twitter: @J0sh_Carter. Tada speaks to the FC community about her personal challenges and her walk with God. 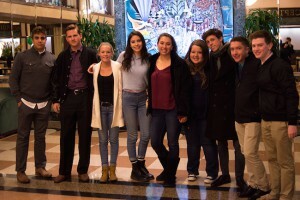 As members of FC, students are given many unique opportunities on and off campus. As a school, FC offers its pupils as many exciting and educational extracurricular activities as it can. 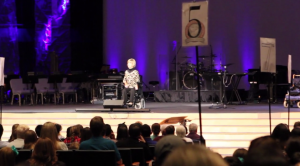 One of these upcoming events is a visit from world-renowned speaker Joni Eareckson Tada. Also, please be sure to check out the Eagles’ schedule for the upcoming season at Max Preps. FC is currently 4-3 overall and 1-1 in the Central Sierra League as of Oct. 17. FC’s next game will be on Oct. 25, as the Eagles play Riverdale Christian. Unlike the previous week the the Eagles began this game in a way quite opposite to the slow start of the game against Kings Christian. On Oct. 17 the Eagles played the Faith Christian Warriors and left them shocked with the results. FC started out the game with a brisk pace, setting the tone for the whole game. In the first quarter 20 points were up on the score board by the now confident and strident Eagles team. By the end of the half the score was 33-0. With this massive lead the coaching staff decided to put in the second and third string players who usually never played and if they did, only for a few minutes of the 48 minutes of playing time. Even with these major changes the team still managed to easily keep the lead. By the end of the second half, the Eagles defense had performed superbly by halting the Warriors defense and leaving the game without one point scored against them. Meanwhile the offense had managed another 13 points in the third. With 50 points on the board, the Eagles halted there own offense and by the end of the game the score remained 50-0. Head Coach, Mick Fuller was pleased with the chance for the second and third string players to play and hopes that with this game they can fix their remaining problems. Freshmen running back Tyler Villines was grateful for the chance to participate in the game and was content with how he played. Line backer Chris Kollenkark, ’16, was thankful for the game and how it helped the younger player on the team. By coming off a total blowout the Eagles are ready and have the confidence to do whatever game comes next. This weeks game will be against Riverdale Christian on Saturday at one o’clock, Oct. 25. For more sports articles read World of Sports: Why the Royals will win the MLB World Series. In the hopes of better communication, the athletic department will offer a short sports news brief every three to four weeks. We hope to publish dates, times and locations of upcoming contests as well as highlight crucial events that our parents, supporters and students might wish to attend. FC is proud to introduce our new Co-Athletic Director and P.E. teacher, Jonathan Penberthy. Penberthy will be leading our department alongside Mick Fuller. The football team travels to Faith Christian to take on the Warriors at Coalinga High School, Oct. 17. Kickoff is scheduled at 7 p.m. Address: 450 West Elm Ave., Coalinga, CA 93210. Football and homecoming go hand in hand. Be sure to put Friday, Oct. 31 on your calendar. The Eagle football team will be taking on Northwest Christian HS at 7 p.m. However, homecoming festivities will begin pre-game with floats and the presentation of the princesses and queens. The volleyball team will be taking on Riverdale on Tuesday, Oct. 21, and Caruthers on Thursday, Oct. 23, both at home. JV games at 4:30 p.m., and varsity at 5:30 p.m..
Volleyball senior night will be Thursday, Oct. 30 vs Minarets High School and football senior night will be Friday, Nov. 7, vs Alpaugh High School. Girls tennis will play their league tournament on Saturday, Oct. 18, at Sierra Sport and Racquet Club, beginning at 8 a.m..
10/18 HS girls tennis @ Sierra Sport and Racquet Club at 8 a.m.
10/25 HS football @ Riverdale Christian High School 1 p.m.
10/28 HS volleyball @ Fowler High School JV 4:30 p.m. & varsity 5:30 p.m.
11/4 HS volleyball @ Parlier High School JV 4:30 p.m. & varsity 5:30 p.m.
11/6 HS volleyball @ Riverdale High School JV 4:30 p.m. & varsity 5:30 p.m.
You can find the most up to date HS girls tennis schedule at Fresnochristian.com or by clicking here. 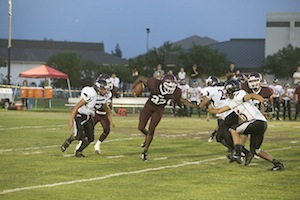 You can find the most up to date HS football schedule at Fresnochristian.com or by clicking here. The Habit Burger Grill will be donating 20 percent of their earnings to FC on Oct. 16. It is always a pleasure to have a local business from the Clovis or Fresno area support our school. 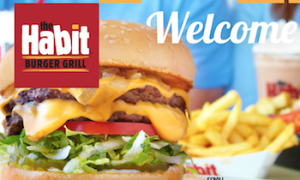 The Habit Burger Grill will be donating 20 percent of their earnings to FC upon presentation of an official flyer, on Oct. 16 from 10:30-10 p.m.
Having a wide variety of food selections ranging from the classic burger to tri-tip sandwiches, The Habit is local favorite. Junior Sierra Duffy, has been a long time fan of the restaurant and shared her thoughts on the quality of their food. Opening their doors for the first time in 1969 in Santa Barbara, The Habit was an instant hit. It has become a nationally recognized establishment with locations all over the country. It is really cool that the Habit is giving some of their money to our school. By showing generosity like that, it will help improve their status among the community. In the end it is a win-win situation because our schools receives part of the proceeds and the Habit builds a stronger fan base. 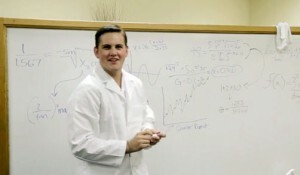 –Daniel Ayers, ’14. Sophomore Daniel Ayers, showed interest in the Habit’s generosity and explained why he believed that it is important for local businesses to reach out and support their surrounding schools. If you would like to participate in helping support our school, pick up a flyer in front of the high school office and present it to the person at the counter when you order. Click, download and print The Habit flyer here. This offer is only valid Oct. 16, so hurry and pick up or print a flyer today. For more news, read the Oct. 14 article, BRIEF: Career education night gives practice to prospective professionals. Also, please be sure to check out the Eagles’ schedule for the upcoming season at Max Preps. FC is currently 3-3 overall and 0-1 in the Central Sierra League as of Sept. 20. FC’s next game will be on Oct. 17, as the Eagles play Faith Christian in Coalinga. Quarterback and senior Richard Morrison receives the hike in preparation to hand the ball off to running back Slater Wade. 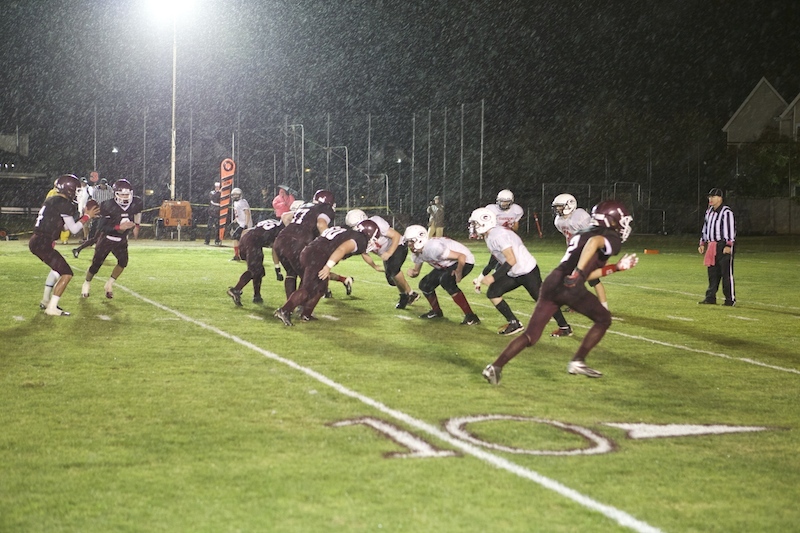 FC faced our most infamous rival in football on Friday Oct. 10 against the Kings Christian Crusaders. They met on the North field at 7 o’clock to renew their annual competition. Throughout the first and second quarters, FC remained scoreless, unable to stop the running game and the intelligent quarter back running the Crusader offense. While the crusaders racked up the points and displayed massive amounts of talent, the Eagles remained dumbstruck and flat footed, ending a depressing first half 23-0. Chris Kollenkark was disappointed with how the team played during the first half and knows that those mistakes are things which they need to work on. The second half was like a new beginning. We came out with great intensity and courage. After our first half performance, we weren’t going to settle with half effort. The whole team came out with energy and enthusiasm for the second half and played amazingly well. We just need to work on our first half discipline. Coach Fuller said that if we play every game like the second half of the Kings’ game, then we could be one of the best teams. –Julian Castro, ’14. During half time coach Fuller and the team captains inspired the team to come out on fire. Now ready to fight, the Eagles prepared themselves for the task at hand, coming back from a deficit. The FC offense earned 20 points in the 3rd quarter, a stark comparison between the earlier team, proving themselves a worthy opponent of a team ranked 5th in California State 8 man rankings. While the offense proved themselves, the defense were unable to do so and let 2 touchdowns by with their shaky coverage. Thus ending the 3rd quarter 20-37. Again the Eagles offense showed off their capabilities with 8 more points on the scoreboard in the first couple minutes, likewise, the defense fixed their mistakes and managed to put a stop to the already exhausted Crusader offense who came to the competition with a total of 15 players. With two minutes remaining on the clock, the Eagles offense started up the offensive machine once more, yet to their surprise, were met with stiff resistance. This proved to be a problem and stopped the Eagles in their own territory, leaving them at 4th and long. Hoping for a hail marry the crowd awaited in anticipation for the lucky pass, but to their disappointment the Eagles punted the ball. Returning possession to the Crusaders who kept it till the end. Ending the match 37-28. Quarterback and senior Richard Morrison was disappointed with the end result, but knows the team can overcome the problems which occurred and fix them in order to be ready for the game against faith Christian. Running and defensive back, Julian Castro, 17′, was ecstatic with how the team played in the second half, and hopes that the team will play in a similar manner in their games to come. With that in mind, the football team will next play Faith Christian in Coalinga on their home turf, Oct. 17. And their next home game will be homecoming against Northwest Christian, Oct. 31. Art teacher Scharon Sharf stands beside her students chalk art at the yearly Fresno Fair, (left to right), Scharon Sharf, Cayla Rivas, Sally Rudolfs, and Amber Wilson. This is one of two installments featured informing the students body on the happenings at The Big Fresno Fair. This features the Fresno Fair art created by students, specializing in the annual chalk art contest as well as the junior exhibit. The next installment will review one of the many concerts featured in the previous segment via podcast. Art students traveled from all parts of the valley to participate in the annual chalk art competition at 8 o’clock in the morning on Oct. 9. This year, 21 schools showed up to put their skills to the test in a pressurized environment and also to represent their schools, displaying their art to the rest of the community. This year art teacher Sharon Scharf brought three girls, including Sally Rudolfs, ’18, Amber Wilson, ’17, and Cayla Rivas, ’18, who worked as a group to paint their chalk art. At the beginning of the day, the underclassmen classmen were biased for their chances of placing in the event, yet were unprepared for their end results. Scharf has been bringing students to this competition for the last 20 years and welcomes the opportunity for her students to experience the event. I can’t believe we won! At the beginning of the day, I was not very hopeful with our chances, yet look where we ended up! With this win, maybe we might be able to pull off the win once again next year. Along with the win, it was nice to see that all of our work finally paid off after years of FC losing. — Cayla Rivas, ’17. Wilson was thankful for the chance to make it to the fair and participate in this annual event in which FC has been a part of ever since its creation. 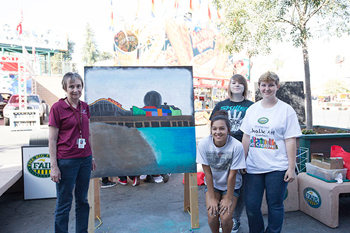 Similar to Scharf, art advisor Tony Sharp from Sierra High School brought his students to the fair for a new experience and to show them the world of art. Sierra high school student Daeja Bonette came to this event in order to get out of school and just because she liked art. After all of the drawings were finished, the participants came back at two o?clock to see which teams would be awarded there trophies. To the Eagle’s surprise, FC art students received first place in the competition. The first time ever which the school has achieved an award in the chalk board competition. Rivas was ecstatic with their placement and was already looking forward to next years competition. Editor’s Note: Along with winning the chalk art contest, several of Scharf’s students have entered into the junior exhibit contest. This year’s participants included: Sydney Belmont, ’17, Trevor Trevino, ’17, Michael Fu, ’16, Ryan King, ’15, Rudolfs and Rivas. For more features, read the Oct. 7 article, National Engagement Day: Join the discussion. Junior Christopher Kollenkark carries the ball through a gap in the line, gaining 7 yards. 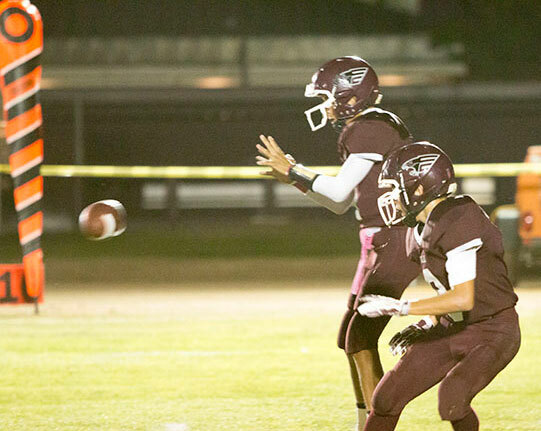 The Eagles headed down to Mojave California to face off the Mustangs on Sept. 26. While they came down ready to fight, events turned out a lot different than intended. In the first few minutes Mojave set the tone of the game with 21 points on the scoreboard. These three touchdowns seemed to freeze the Eagles defense and make them somewhat afraid of the other team. The Eagles managed to generate a touchdown through Junior and Multi-school attendee Caleb Goodale. They tried for the conversion but were unable gain the extra point, meanwhile the Mustangs had scored another three touchdowns and only missed the extra point. At the beginning I was rather shaky. But as the game progressed I was under control and knew exactly what I was doing. Yet on the flip side the defense seemed to be scared and unable to read the running game. Mostly because of how fast they were, they just broke all of our tackles. — Richard Morrison, ’15. In the second half the Eagles came out and scored, adding another six to the scoreboard. Meanwhile, the Mustangs doubled it with thirteen points ending the game 61-12. Head Coach Mick Fuller believed that the game was helpful despite the loss. “The players saw a team which executed their assignments efficiently and aggressively,” Fuller said. “We will be working to measure up to a similar standard as the pre, and official season progresses. Along with a team to aspire to, and imitate, Fuller wants to return to a few basics which will help the defense and offense. Senior quarterback Rick Morrison thought he played well, yet recognizes the fact that him and his team need to work on a few things. Junior Caleb Goodale played a big part in the Eagles offense by scoring one of the two touchdowns. He also accepts the fact that their is more work to do, to be ready for season. “I thought I played well considering how badly we lost,” Goodale said. “Yet we still need to work and improve our team work and skill. For me I need to improve my tackling and watching the ball on handoffs. I am excited for the games to come and how we can improve. The Eagles will next face Kings Christian at Fresno Christian on the North field, Oct. 10. Dr. Trevor William Beal speaks to the FC male body about how to deal with women using the art of Marchismo. 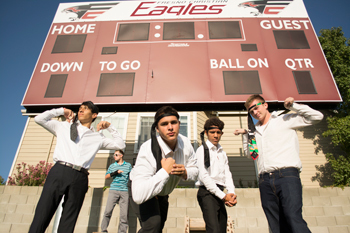 Unlike many of the chapels at FC, the Fresno Christian boys were entertained before assembly by a clip made by the video productions class. While the girls spoke of dress code and how to dress well. The boys took a different view on their time in assembly, Sept, 25. In this video, FC student Trevor Beal acted as a Dr. Trevor William Beal who has a “PhD” in Machismo. He was called by the president to help guys at Fresno Christian to become more manly. While the girls video was more serious and practical, the boys video pertained nothing to the actual chapel. In the assembly, the FC boys were spoken to by preacher Chris Schultz, preacher a the Well Community Church. He addressed how men are to treat and respect women. He was especially fervent about this topic due to his role as the father of a family of girls. Along with this Schultz emphasized sensitive issues which was appropriate to help curb common problems among high school guys. This was done, not in response to problems which have arisen in the beginning of the year, but instead as a daily proactive sermon. This should serve to instruct and direct incoming male students of the struggles which often young men around the world face. Appearing in the video, in addition to Beal are Christopher Grossman, Aaron DeWolf, freshmen Mattheau Casey, and Daniel Chandler. Be sure to read the article about the girls assembly, Chapel features modest fashion show, dress code. David White speaks to the FC high school student body about his past experiences with with journalism and God. Sports columnist and preacher David White, visited FC to speak at chapel, Sept. 18. He spent his whole life aspiring to become a sports writer, which he finally achieved with his highlight being a writer covering the XLIV Super Bowl. After five years he left his NFL beat to become something that was not originally a part of his plan. White grew up in Selma, CA, and attended Selma High School. There, he was a part of the Clarion newspaper. The two activities which he loved were writing and sports. This strange combination lead him into the field of sports writing for his high school newspaper. While in high school he achieved a major award in the San Joaquin Valley for his skills as a sports writer. In 1991, White took first place in the San Joaquin Scholastic Press Association Sports Writing Competition. 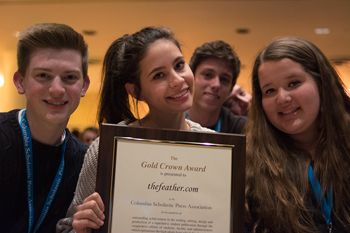 The SJVPA contest is the same competition The Feather competed in when it was a print edition. After high school, White attended Fresno State where he met his future wife. In order for him to date her, she required him to be a Christian and attend church. During the next 12 years, David married his wife Maria, and continued on in his job writing for the Fresno Bee. Little did he know that things were about to drastically change. I remember sitting next to the New York Times Judy Battista and the Legendary Miami Herald writer Edwin Pope up in the press box and I just realized how far God had brought me. I couldn’t have done this on my own even if I tried. In that moment I felt like I could quit tomorrow, go be a missionary in Nigeria, and we are square, I am satisfied with what I have been given. –David White. Much to White’s horror, he heard nothing from God, and to his even greater dislike, he declined the Chronicle’s offer. At the time it was one of the hardest things he had done, but he knew he made the right decision. About a month later he received another call from the Chronicle, asking if he would take the same job with an added salary and bonus. This time, God answered and White joyfully made his way up state to work his dream job, covering sports for the San Francisco Chronicle. For the next five years, David covered Super Bowls, the San Francisco 49ers, the Oakland Raiders, his favorite teams, baseball and other miscellaneous sports. By the time he covered the Superbowl, White was content with what God had blessed him with and was willing to do whatever God’s future demands might be. The environment in the stadium was extraordinary and the chance to be with so many famous people was life fulfilling to White. 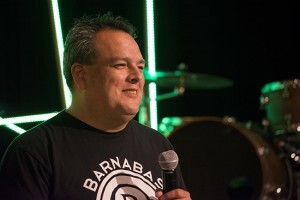 By the end of those five years, God called White to be the Senior pastor at the Porterville Church of God. Like before, he prayed and God answered. White is currently the Senior pastor of the church in Porterville, the State Youth and Discipleship Director at California/Nevada Church of God State Office and lastly the Sunday sports columnist for the Fresno Bee. White came to FC with his life story and the message from James 1:22: “But be doers of the word, and not hearers only, deceiving yourselves.” Upon this passage he spoke of his life and how he endeavored to live at all times like this verse. He was a doer by listening to God, and waiting for what his commands were, listening and doing. White has achieved a great deal, in the short years he has been on the earth. God fulfilled his desires of writing in a big time newspaper, and at the same time taught him to wait upon the Lord in all circumstances. Now God has lead him to be a Pastor and the director of discipleship in California and Nevada, all without finishing college, yet all the while following Gods narrow path. White left the students with several Bible teachings to walk away with, but what was impressed upon the student body above all else was that, Gods path is something which we cannot even imagine, if only us as his doers and listeners would let him lead us. Then we can truly appreciate His infinite and inconceivable wisdom which he longs to guide us with. Follow The Feather via Twitter: @thefeather. This writer can be reached via Twitter: @J0sh_Carter. Also, please be sure to check out the Eagles’ schedule for the upcoming season at Max Preps. FC is currently 2-1 overall and 0-0 in the Central Sierra League as of Sept. 18. FC’s next game will be on Sept. 20, as the Eagles play Trinity High School in Monterey. Junior Christopher Kollenkark sprints down the field after a kick return. FC hosted the Anzar Knights on Sept. 12 for their third preseason game. The Eagles headed into the game looking for a win, and were not disappointed. Within the first five minutes of the game, the Eagles achieved one, of the first of many touchdowns. By the end of the first quarter FC had scored 16. Similar to the first, the Eagles kept up their progress and scored an additional 16 points. The Knights were able to add two points to the score board with a safety. Both teams struggled to score in the third and the tally was still 32-2. Yet by the fourth, the Eagles ended with a bang and shut out the already flagging knights 45-2. Head Coach Mick Fuller was content with how the game turned out, especially in the defense department. However, Fuller reports that the boys have some work to do on their offensive skills. Once the boys master offense, Fuller believes they will become nearly unstoppable. Sophomore, Thomas Friesen, thought the game went well, especially due to his favorable performance, with his two tackles for loss of Anzar yardage, 14 tackles, and a 25 yard interception return as an outside linebacker. Friesen believed that because of their strong defense the Eagles were able to win by a sizable amount. Christopher Kollenkark, ’16, was thankful for the effort and skill which the team played with and hopes for a tight bond between the players, and their relationship with God. The Eagles offense had a total of 113.8 passing yards, and 234 all purpose yards. Chris Kollenkark had a total of 9 solo tackles and 10 overall. FC will next play Trinity Christian at Monterey High School, Sept. 20 at 1 p.m.
David Martins shows his replacement, Robert Hyatt, the technology of FCS. 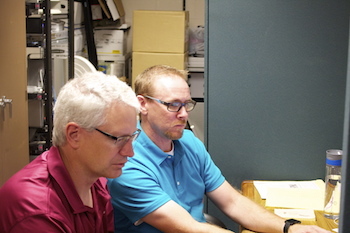 For the past 18 years, Information Technology (IT) director David Martens has contributed to the school through several ways, a few including working with The Feather, where he helped with the former Webmaster David Casuga in transferring the newspaper online. Along with his job working along side The Feather, Martens helped boost the wifi and supported the teachers as they changed into the new world of technology. He spent most of the summer creating a strong and capable net of wifi for the school. Not only has he worked in technology during his career at FC, but his last five years have been spent building up the ministry on campus as the Worship Band Director, reverting back to what he majored in college. Now, Martens is moving on from FC and is heading off into another world; the college life. 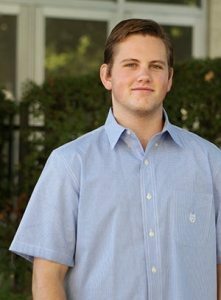 David Martens was working at Clovis Evangelical Free Church as the worship band leader when his friend gave him an invitation to come to the school. While here at FC, Martens has filled many of the positions which were needed for certain years, while still keeping his role as technology director. When Martens was in college, he had no intentions of becoming a Technology Director, his main focus was to serve the Lord through music. Now, he gets to realize his old dream once more. Alumna, and Fresno Pacific student Natalie Ruiz, has fond memories of Martens and her time here in worship team. As Martens leaves to start anew he will miss his time here at FC and all of the people who have made memories with him including his office buddies. With the transition of the new IT Director Robert Hyatt, Martens is excited to see the impact he will have on the campus in technology as well as ministry. 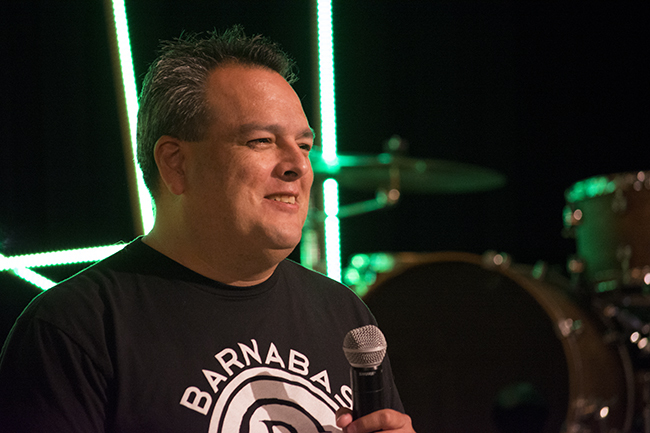 Martens officially left his job as the technologies director, Sept. 5, and will head off to pursue his new worship position as Director of Contemporary Christian Music at Tabor College in Hillsborough, Kansas. Head coach of the cross country team, and former FCS athlete Doug Daniel, needs a few more players to complete a team. The school has had a long history of sports, yet this year, the cross country team is in need of some help. The team needs at least two more runners to make up an official five-man team. Without another two players, the FCS team will not be able to compete in the “team” competitions which make it easier to advance to the CIF State Section Cross Country Championship. Senior and multi-schooled student Soren Hoffman joined cross country for the love of running and for how it looks on a college application. Younger brother, Isaac Hoffman, joined for similar reasons, to get in better shape and also set him self up for the sports to come. To all campus students, if you want to get in shape or ingrain discipline into your daily life, join the cross country team. For more sports, read Aug. 28 article, Volleyball sport shorts: Immanuel. In the hopes of better communication, the athletic department will offer a short sports news brief every three to four weeks that will be published on Thursdays. In the hopes of better communication, the athletic department will offer a short sports news brief every three to four weeks that will be published on Thursdays. We hope to publish dates, times and locations of upcoming contests as well as highlight crucial events that our parents, supporters and students might wish to attend. Fresno Christian Schools is proud to introduce our new Co-Athletic Director and P.E. teacher, Jonathan Penberthy. Jon will be leading our department alongside Mick Fuller. The football team will be playing their first opponents on Aug. 23 at the Central Sierra League Preseason Scrimmage at West Hills College in Coalinga at 9 am. The girls tennis team is making their season debut vs Coalinga on Aug. 26 at 4 pm on the FC tennis courts. 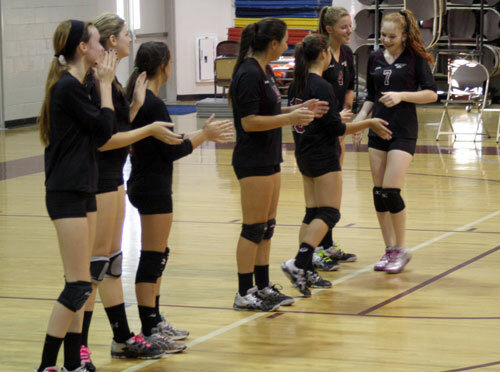 The volleyball team will be taking on Immanuel on Aug. 26 in the FC gym. JV at 5 and varsity at 6. The FC girls played their first preseason game of the West Sequoia League (WSL) and came out on top with a win. The Eagles volleyball team hosted the Laton Mustangs, Aug. 19. The FC girls played their first preseason game of the West Sequoia League (WSL) and came out on top with a win. In the first match, the Eagles struggled to keep a lead but still outscored the Mustangs, 25-14. The Mustangs fought back in the second match and, despite the Eagles’ efforts, defeated FC, 25-22. In the third match, the Eagles bounced back crushing the Mustangs, 25-6. The fourth match spelled victory for FC as they beat Laton 25-11. New head coach Jonathan Penberthy saw potential in his team. As a veteran player, Senior Ivette Ibarra was pleased with the turnout of the game yet still felt the team had a few things to work on. Sophomore Hannah Nale felt excited as it was her first game as a starter and enjoyed how the team played. The next match for the Eagles will be Aug. 26 against Immanuel at FC. They will enter the Caruthers Raisin Tournament, Aug. 27-30. Senior Jordan Castro smashes the ball back onto the opposing teams court, earning a point in doubles. As spring sports start heating up, teams are preparing to go playoffs or finish at the end of league. The varsity tennis team is playing for the chance to make their way towards semi-finals after they finished second in the West Sequoia League (WSL), just after their loss April 22 against Firebaugh. A few of the team members travelled to Hanford to participate in a tournament deciding which players could play for the singles and doubles events on April 26, which is separate from the team event. Junior Rick Morrison and Jordan Castro, ’15, lost in doubles in the first round along with Cole Nale, ’15 and Zach Passmore, ’18. Junior Andrew Hindes lost in the second round while Nick Morrison, ’15 achieved second in the tournament and is now eligible to participate in the singles events. Junior Nick Morrison made it to valley in the singles event to fight for a podium position. He was pumped after he achieved second in the tournament and for the chance to go to valley. We have a chance to win the match. Orosi is a challenging team which will test our abilities. However with all the growth the team has done, we will have an opportunity to win the match. –Andrew Moore, ’16. Sophomore Andrew Moore is excited for the game against Orosi and is confident that they will win the match. The teams next challenge is on Thursday, May 1 against Orosi. If won, the Eagles will prepare for semi-finals. This writer can be reached via Twitter: @J0sh_Carter. Follow The Feather via Twitter: @thefeather. For more sports, read the April 30 article Sophomore gains baseball skill, report. The spring sports calendars are beginning to heat up with the start of track, tennis, golf, baseball and softball seasons. Currently, the baseball team is 0-0 in the West Sequoia League and 7-0 overall. The tennis team is 6-2 in the West Sequoia League and 8-5 overall this season. The softball team is 0-0 in the West Sequoia League and 3-2-1 overall. The track team is 0-0 in the West Sequoia League and 0-0 overall. The golf team is 0-0 in the West Sequoia League and 4-2 overall. Spring sport pics 4/8 are at 3:15 p.m. Once users are logged into their email account, click on Sports Pictures form to view photo packages. There are two weeks of games, meets and matches to catch before we leave for Easter Break. Be sure and catch at least one of each high school spring sport. There will not be any games during spring break. When we return to school on April 22, all spring sports will begin contests again. Currently, the baseball team is 0-0 in the West Sequoia League and 4-0 overall. 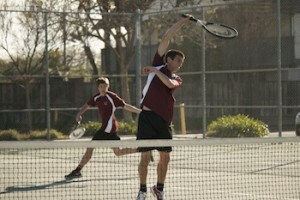 The tennis team is 0-0 in the West Sequoia League and 2-0 overall this season. The softball team is 0-0 in the West Sequoia League and 1-0-1 overall. The track team is 0-0 in the West Sequoia League and 0-0 overall. The golf team is 0-0 in the West Sequoia League and 2-2 overall. All girls interested in high school and junior high cheer for the 2014-’15 season are invited to attend the open gyms and clinic dates before tryouts. Tryouts will be held in the FC gym beginning at 9:00a.m., March 29. Open gyms will be held on March 21 and 24. Tryout clinics will be from 5 p.m.-6 p.m., March 25, 3:15 p.m.-4:30 p.m., March 26 and 5 p.m.-6 p.m., March 27. Clinics are mandatory to learn the material for tryouts. For more information please attend the mandatory parent/athlete meeting at 3:30 in room 521, March 14. On March 7-8 the FC tennis team took part in the California Tennis Classic tournament. For a simple overview of scores and upcoming games, check the Spring sport box scores, 2014 for dates, opponents and times for all Eagle sports. There are no additional stats available online for tennis. FC is currently 3-3 overall and 0-0 in West Sequoia League as of Feb. 27. The Eagles will next play the Caruthers’s Blue Raiders, March 4. On March 7-8 the FC tennis team took part in the California Tennis Classic tournament, a state-wide team tournament pitting teams of similar success against each other. The Eagles played in the eighth division of the tournament. On Friday, the team defeated Hanford, tying with a match score of 3-3 and set count of 8-8 but winning the individual game count. The Eagles then lost 4-2 to Atwater and 5-1 to Wasco, ending the first day of the tournament. The Eagles played only two matches Saturday, losing to Dinuba 6-0 first. 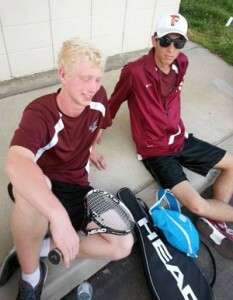 The team then rallied to beat Kingsburg 3-3 (8-6 sets) by winning all of its doubles matches. Coach Robert Foshee noted that the tournament helped the team prepare for the rest of the season. Junior Jordan Castro was exhausted after the tournament, but enjoyed getting to play doubles. Rick Morrison said that the experience of the tournament helped him improve his game. The Eagles play next at home against Dos Palos, March 11. This writer can be reached via Twitter: @m00re_is_better. Follow The Feather via Twitter: @thefeather. And follow the athletics department on Twitter: @FCSportsAD. For more sports, read the March 7 Golf sport shorts: Reedley. The Eagles held their Senior Night against the rival Blue Raiders, Feb. 18, defeating Caruthers, 75-68. First place in WSL standings was on the line. Continuing the storied tradition of close, physical, and intense games, the two teams have met twice so far this year. FC beat Caruthers on a neutral court in a tournament held in Selma, and the Blue Raiders beat the Eagles in a game held in Caruthers, Jan. 31. The Eagles held their Senior Night ceremonies before the tip-off, honoring the team’s four seniors: Levi Browatzke, N’Gai Jones, Caleb Nale, and Brian Scott. The home team looked to take advantage of the increased crowd size and make the night one to remember. With the cheerleaders, band and packed gym cheering on the home team, the level of excitement seemed to help the Eagles overcome. Later Eagle Coach Robert Hubbard was ecstatic concerning the turnout of students and their energy in the bleachers. Basketball : FC beats Caruthers (VIDEO) from The Feather Online on Vimeo. 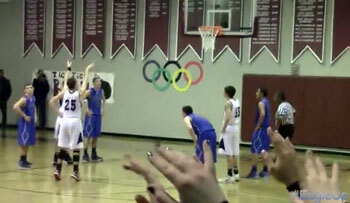 For more on the game, read Boys basketball sport shorts: Caruthers and listen to the podcast. (Scrimmages do not count toward win/loss record. Visit the Sports Section for boys’ soccer features). For a simple overview of scores and upcoming games, check the Winter sport box scores, 2012-13, for dates, opponents and times for all Eagle sports. Be sure to visit the 2013-14 boys’ soccer schedule, home page, or check out Maxpreps.com. The Eagles are currently 0-6, West Sequoia League, and 2-10 overall as of Feb. 5. The Eagles travelled to play the Caruthers Blue Raiders, Jan. 31. Although they were motivated the boys remained winless in league. The Blue Raiders scored within the first five minutes, pulling out the early lead. Yet the fight was far from over, the Eagles soon returned with a shot by junior Taylor Howard which slotted right into the corner. With the score, even bystanders were almost sure to see an interesting game. By the end of the half, the Blue Raiders had scored once again. At the beginning of the next half the Eagles defense let up and the Raiders achieved one more goal. With a whole half to go, the Eagles set forth to catch up once again. With numerous chances the Eagles remained down by two until Howard was fouled in the goal box. Sophomore Josh Carter took the penalty kick and made it into the corner with only minutes left of the game. Yet the Eagles did not have enough time to catch up to the lead, thus ending the game 3-2, Caruthers. Head coach Matt Markarian was disappointed with the abate in the intensity in the defense which he believed to be the source of the loss. Captain David Taylor, ’14, was happy with how he played but disappointed with the outcome. 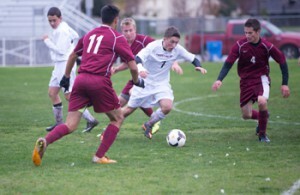 For more sports, read the Jan. 31 article, Boys soccer sport shorts: Riverdale. Be sure to visit the 2013-14 boys’ soccer schedule, home page, or check out Maxpreps.com. The Eagles are currently 0-3, West Sequoia League, and 2-7 overall as of Jan. 27. The Eagles headed to Parlier to play the Parlier Panthers, Jan. 24, where the Eagles lost after a tough battle, 3-0. Both teams put up a good fight for the first 10 minutes of play, but the Panthers were not to be denied, with a skillful shot from outside the eighteen in the upper right hand side net. They scored once again soon after, thus lengthening their lead, 2-0. After a talk from coach Matt Markarian, the Eagles came out to do a better job than the previous half. With another 40 minutes to play, the Eagles came out fighting, although the Panthers managed to score one more point, the Eagles managed to keep the ball in the Panthers side of the field, almost scoring but lost each chance. At the end of the game the Panthers won 3-0 against the now 0-2 Eagles in the West Sequoia League. Head coach Matt Markarian was pleased with how the Eagles played overall but hopes for this type of performance in every match up. Senior Christian Saylor was disappointed with the loss, but acknowledges that the Panthers were a good team. Sophomore Andrew Moore was happy with how he played but also disappointed with the overall outcome. The Eagles will travel to play the Riverdale Cowboys, Jan. 28. This author can be reached via Twitter: @J0sh_Carter. Follow The Feather via Twitter: @thefeather. For more sports, read the Jan. 23 article, Sisters add dynamic to varsity team. 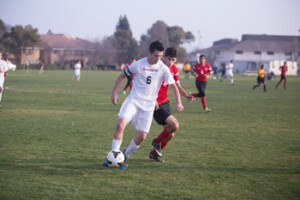 Forward Taylor Howard, ’15 scored two goals against Fowler, but the Eagles lost to the Redcats, 7-3, Jan. 18. The Eagles travelled to Fowler for their second league matchup, losing 7-3, Jan. 18. The game was slightly delayed due to air quality. FC played without starting goalkeeper Bailey Brogan, ’16, (concussion) and sweeper Josh Carter, ’16, (sick). Fowler struck early, scoring three quick goals for a 3-0 lead, but the Eagles came back, with forward Taylor Howard, ’15 scoring two goals. Fowler scored once more before half, making the halftime score 4-2. Fowler went on to score 3 more goals in the second half. For FC, Howard scored a third goal on a penalty kick to complete a hat trick. The game ended with a final score of 7-3. Coach Matt Markarian noted that while the score was lopsided, the Eagles are set to improve in upcoming games. According to Howard, the game was hard-fought and physical. Defender Andrew Moore, ’16, expects a better result next time the Eagles play Fowler. The Eagles play next at home against Minarets, Jan. 21. The 8-5 Eagles were looking to redeem themselves after a heartbreaking loss to Tranquillity when they travelled to Chowchilla High School to play the Redskins, Jan. 15. Also, please be sure to check out the Eagle’s schedule for the upcoming season at Max Preps. FC is currently 8-6 overall and 0-0 in the West Sequoia League as of Dec. 11. The Eagle’s next game will be Jan. 21, as they host the Minarets Mustangs. However, the Redskins had a different plan in mind, as they came out strong right from the tip-off by outscoring the Eagles 10-2 in the opening minutes. Despite the run, FC was able to bring it within six points at the end of the first quarter, 9-15. In the second quarter, the Eagles started to get hot, but the redskins continued to put the ball through the net and managed to increase their lead to fifteen at the end of the half, 25-40. Coming out of the break, Chowchilla refused to cool down, knocking down continuous three-pointers from long range. By the end of the third the Redskins held a nineteen point advantage over the Eagles. However in the fourth quarter FC came surging back, consistently slimming down the deficit with every possession. Despite the scoring run, they were not able to mount a full comeback and fell to Chowchilla 58-69. Chowchilla’s guard Lorenzo Cuevas was lights out from downtown. He led all scorers with 37, scoring more than half of the Redskins points. Meanwhile, senior Brian Scott again lead the way for the Eagles, scoring 20. Junior Trevor Beal says it is tough to defend a team with a player that shoots how Cuevas did, but nonetheless it was no excuse for a loss. The Eagles next game will be played at Sierra Pacific High School in Hanford for a one day showcase as the team will play Strathmore High School. For more information, see the Winter sport box scores, 2013-14. In the hopes of better communication, the athletic department will offer a short sports news brief every three to four weeks that will be published on Thursdays. Sports Center will publish dates, times and locations of upcoming contests as well as highlight crucial events that our parents, supporters and students might wish to attend. The winter sports calendars are beginning to heat up and this month’s soccer and basketball beginning their seasons the first week of December. Both sports are also getting ready for tournaments by mid month. Currently, the girls soccer team is 0-1 in the West Sequoia League and 8-4 overall. The boys soccer team is 0-0 in the West Sequoia League and 1-4 overall this season. The boys basketball team is 0-0 in the West Sequoia League and 8-4 overall. After playing in two tournaments over the Christmas break, the varsity boys will play Tranquillity at home, Jan. 14 (7 p.m.) and open league play at home against Minarets, Jan. 21 (7:30 p.m.). Both boys soccer opens league at home against Caruthers, Jan. 14 (3:30 p.m.) with “Crazy Hat Night” as the theme. Wear your craziest hat and win a prize! Be a part of the contest at halftime of the varsity game to determine winner for HS and one winner for K-8. A snack bar will serve pulled pork sandwiches and brownies. Next week, the Eagles will host Minarets on Jan. 21 (3:30 p.m.) before playing on the road the rest of the month. The department includes Athletic Director Mick Fuller, Athletic Secretary Michelle Morse and Facilities Supervisor Val Rivera. 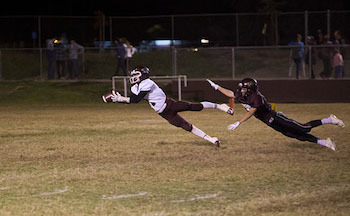 The Eagles played up at Sierra High School against the Sierra Chieftains, Dec. 13. Both teams were fired up and ready for a good fight; shaking off the cold conditions, the game started and the fight began. Through the first half, both teams remained scoreless; the Eagles had numerous shots but each were just inches away. The Chieftains had a few chances but were unable to capitalize on any of the attempts, thus ending the first half. At the start of the second, the Eagles came out tired but pumped for the conclusion, hopeful to win the game. The Chieftains scored in the first few minutes after the half, but the Eagles returned with two terrific shots by homeschooler Taylor Howard. Yet the Chieftain scored once again, tying the two teams in the last ten minutes of the game, with both teams yearning for the win, the game intensified, but the Eagles were not to be denied, they scored in the last 5 minutes. Ending the game 3-2, and giving the Eagles their first win of the season. Coach Matt Markarian was happy with the outcome of the game but says the Eagles could have done much better. Homeschooler and Junior Taylor Howard was happy with how the game went, but admits there were mistakes which set the team back in taking the lead. The Eagles will next play away at Liberty High school on Dec. 17. For more information, see the Winter sport box scores. In the hopes of better communication, the athletic department will offer a short sports news brief every three to four weeks that will be published on Mondays. Sports Center will publish dates, times and locations of upcoming contests as well as highlight crucial events that our parents, supporters and students might wish to attend. While the football team lost the CIF Central Section 8-man division championship, they ended their season with a 4-1 record in the Central Sierra League and 7-4 overall record. The girls varsity volleyball team finished the season, losing in the semi-final round of the CIF Central Section Division 5 play-offs to Minarets High School, the eventual division champions. The girls finished the season with 13-12 overall record, going 5-5 in West Sequoia League play. 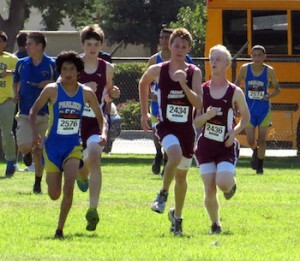 Finally, in cross country, seniors Daniel Moore and Tyler Laird finished 24th and 25th in the Central Section Valley Championships at Woodward Park, Nov. 21. Senior Aliciana Quintana also ran in the girls’ race and finished ninth, sending her to the CIF State Championships. 12/2: boys soccer @ Liberty Madera Ranchos HS at 6 p.m.
12/3: boys soccer @ Central Valley Christian at 5 p.m.
12/3: boys JV & Var basketball @ Yosemite at 5:30 & 7 p.m.
12/4: FC vs Fowler at 5:20 p.m.
12/4: FC vs Parlier at 7:40 p.m.
12/5: FC vs Immanuel at 3 p.m.
12/5: FC vs Kerman at 5:20 p.m.
12/6: FC vs Kerman at 10 a.m.
12/6: FC vs Firebaugh at 2 p.m.
12/10: girls soccer @ Sierra High School at 3:30 p.m.
12/10: boys basketball JV & Var vs Woodlake HS 5:30/7 p.m.
12/12: girls soccer @ Kerman HS at 5:30 p.m.
12/13: boys soccer @ Sierra HS at 4 p.m.
For a preview to the Eagles volleyball season and a look at their scores so far, check out the Fall sport box scores, 2013, for dates, times and all fall sports. Also, please be sure to check out the Eagle’s schedule for the upcoming season on Max Preps. FC is currently 10-11 overall and 3-5 in the West Sequoia League as of Oct. 31. FC’s next game will be at home on Nov. 5, as the Eagles play the Parlier Panthers. The Eagles played the Minarets Mustangs on Oct. 31. In the first Set the Eagles came off to a slow start and lost the set to the Mustangs, 25-13. In the second set the Eagles again could not gain there footing and lost it 25-13. In the third and final match the Eagles came out fighting, they kept with the Mustangs all the way until the end where the Mustangs crept ahead by two, ending the game, 26-24. Junior Ashley Garcia was disappointed with the loss but since the Mustangs are ranked number one in the division, she was not surprised. Senior Annaleah Madison wished for better but they played a good game. The Eagles will next play the Panthers at home on Nov. 5.